This residential double hung window has been successfully tested for compliance with AS 2047. 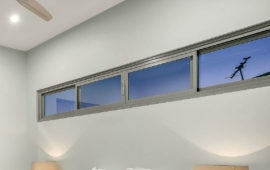 Optional mullion and transom strengths for this double hung window to cover a large variety of design wind load areas. 50mm wide perimeter frame will couple to a large variety of adaptors in this double hung window without visible rivets or screws. Finger grip built into the top and bottom sash rails of this residential double hung window. The same frame can be used for Double-Hung or fixed sidelights in standard wrap around glazing or individually glazed sashes. Double hung sashes will bypass each other to allow cleaning of all glass from inside the building. Double hung sashes run on spring balances with adjustable spring shoes. Fixed sill has built-in drainage to take care of condensation. Standard sill will rate to 200Pa water resistance plus there is a tubular sill option for 300Pa water resistance projects. 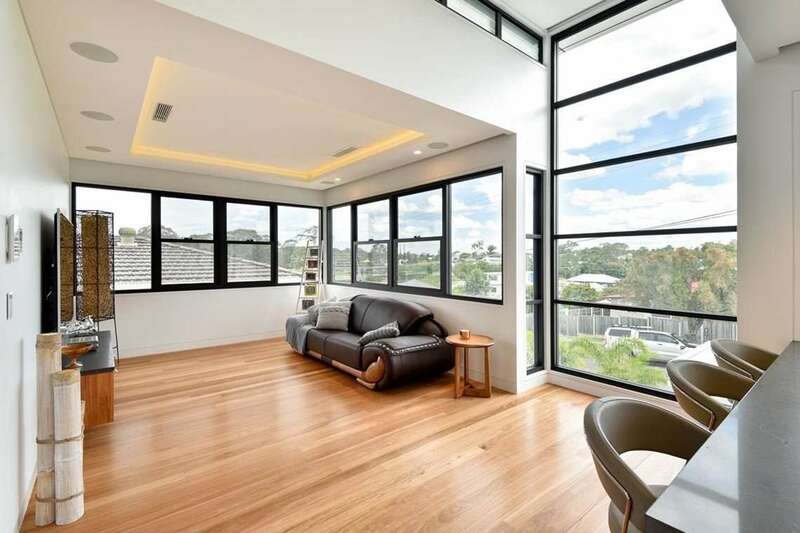 The Series 613 double hung window has been tested for compliance with the relevant Australian Standards. This double hung window achieves a high water resistance of 300Pa. Both double hung window sashes can be hinged back into the room to allow cleaning of both sides of the glass from inside, without having to remove the flyscreen, ideal in elevated applications and where privacy screens are used. Double Hung window sashes are secured with the Vantage custom key or non-key locking cam handle. When double hung windows are a powder coated finish the lower corners on the top sash are fitted with die cast horns as standard. Horns are not available in anodised finishes. Windows can be ordered with or without sash horns, clearly nominate when ordering. Powder coat finished double hung windows can also be ordered without federation sash horns. 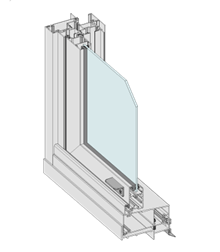 A fixed sill glass panel can be fitted into the ClearVENT™ window to make it easy for top ventilation only. 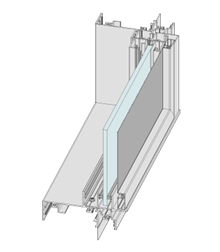 This fixed sill panel could also be used on tall windows in elevated installations as a safety barrier (check the requirements of local authorities). 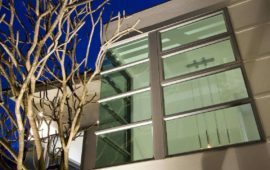 ClearVENT™ windows can be fitted with external flyscreens. Special extrusions have been cut to make sure this detail matches the overall window design, no turn buckles required. If you don't require screens we have extrusions to suit this situation. Extra strong double hung window sashes allow large sash windows to be fabricated for high wind load areas. The Series 463 double hung have been successfully tested for compliance and drainage at 450Pa water resistance.